We hope you are having a restful and thankful day full of great food and family. 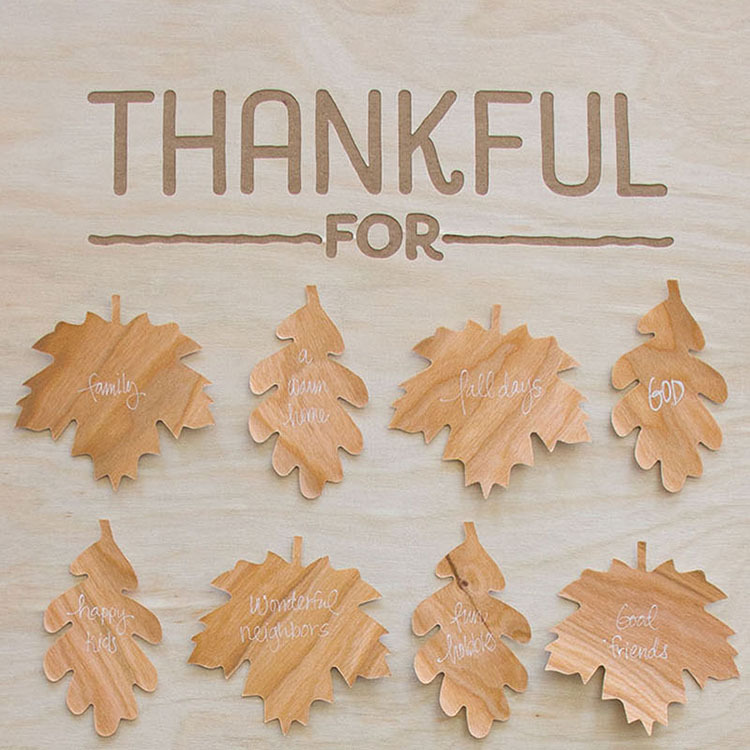 Real Wood paper has helped us to create and make our Thanksgivings memorable, year after year! 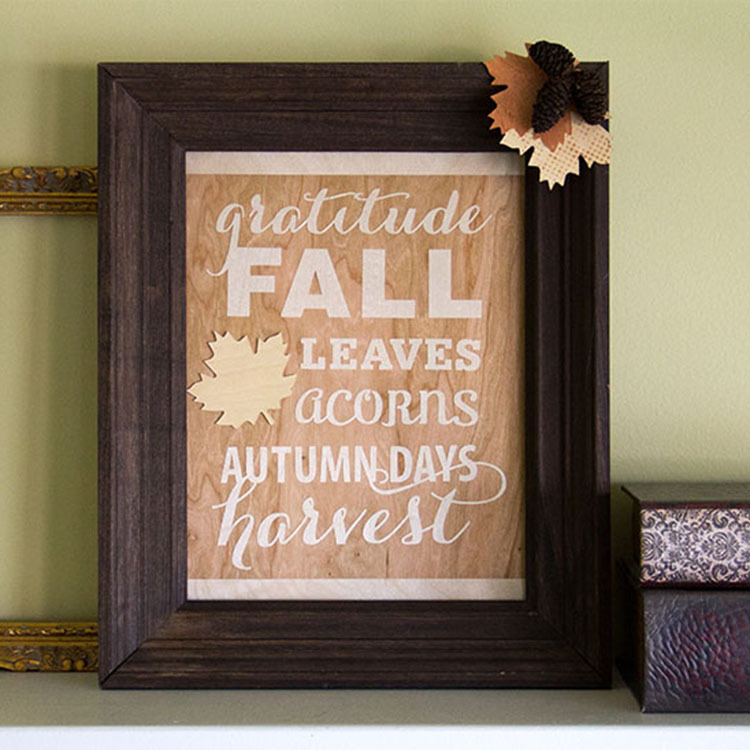 We hope you enjoy these Real Wood projects of Thanksgivings past. Click here to see the Fall Frame featured above. Check out our Facebook page to see some tips and tricks! Thankful For sign made from Real Birch and Cherry Wood papers. 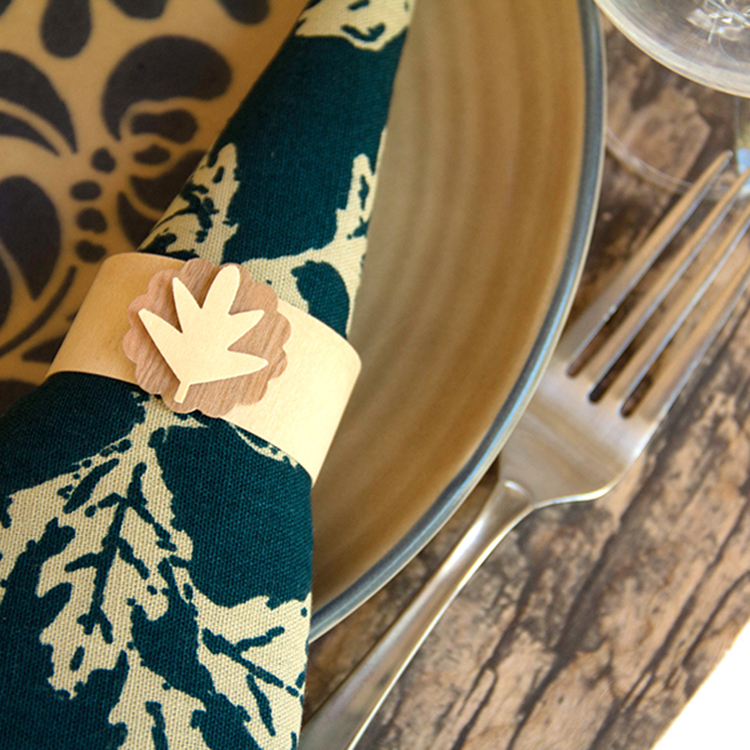 Leaf napkin decor made from Real Cherry Wood paper. 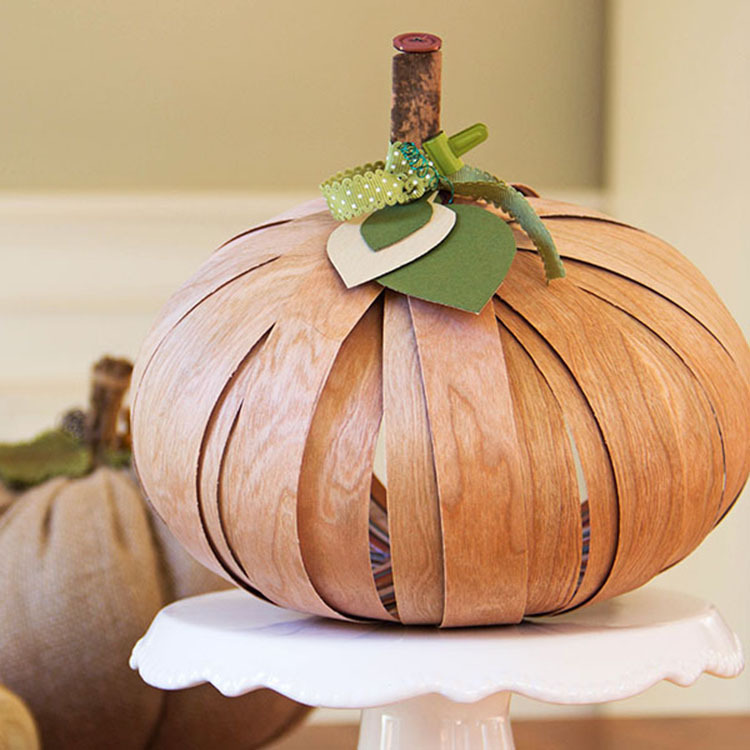 Pumpkin Décor made from Real Wood Cherry Tape. 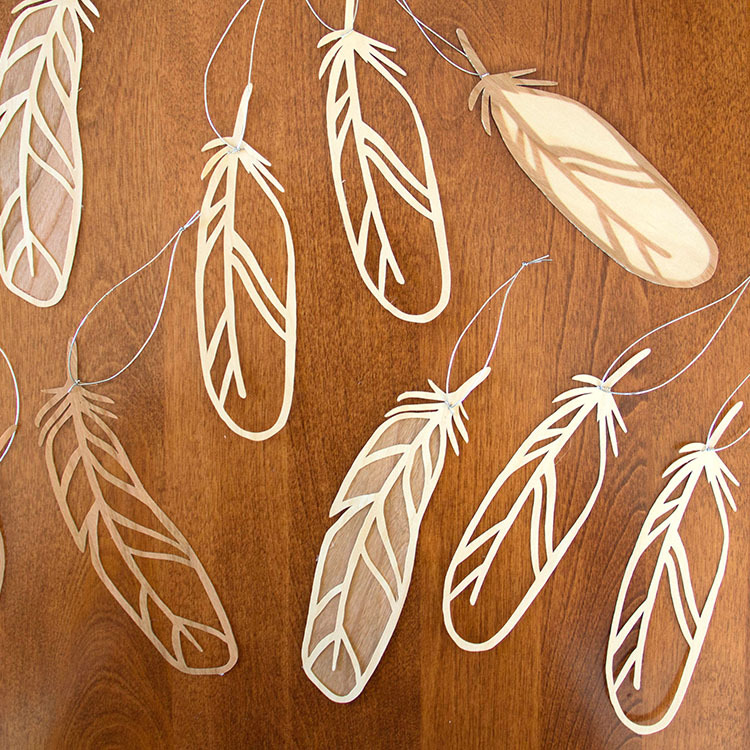 Hanging feather decor made from Real Birch and Cherry Wood papers. 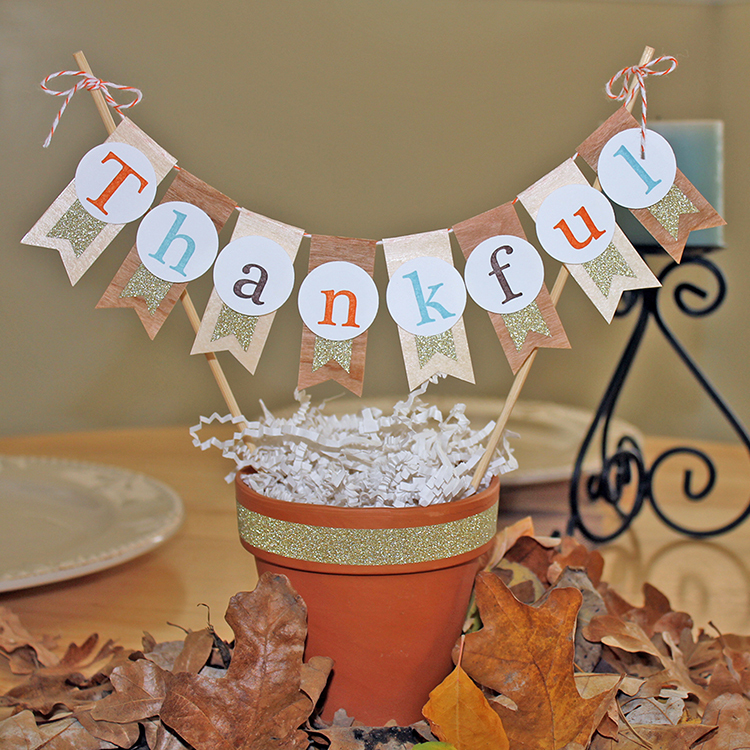 Thankful banner made from Real Birch and Cherry Wood tape. 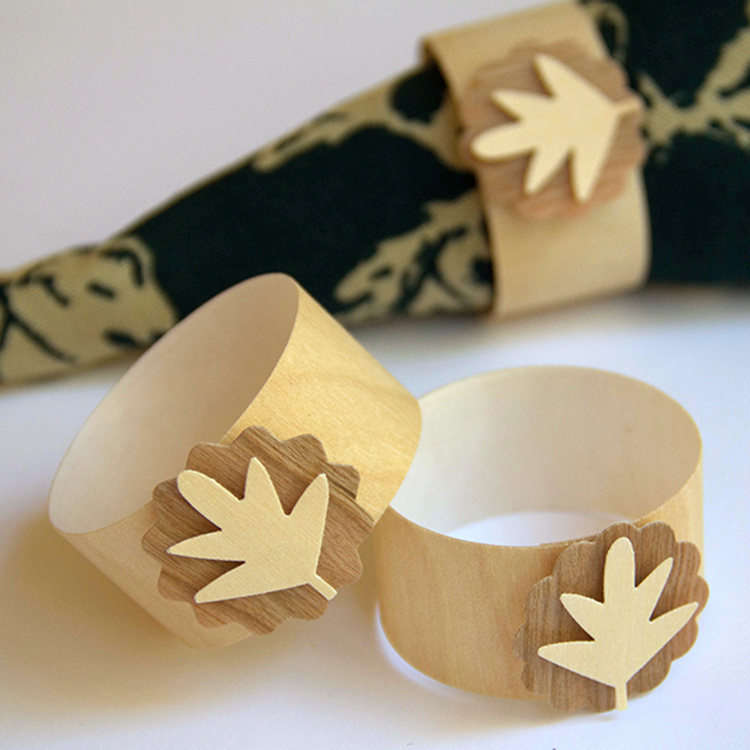 Napkin rings made from Real Birch and Cherry Wood tape. 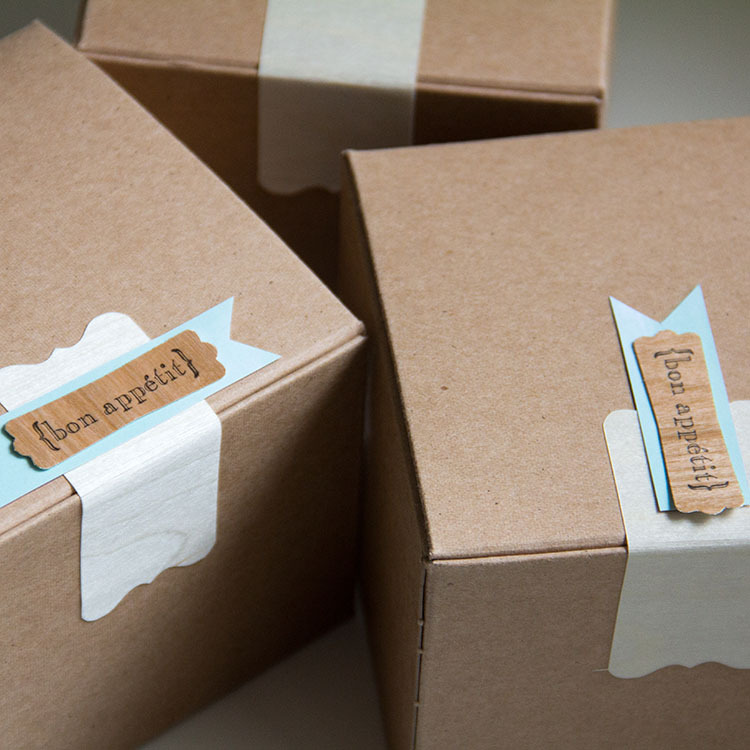 Leftover food boxes sealed with Real Birch Wood designer labels. 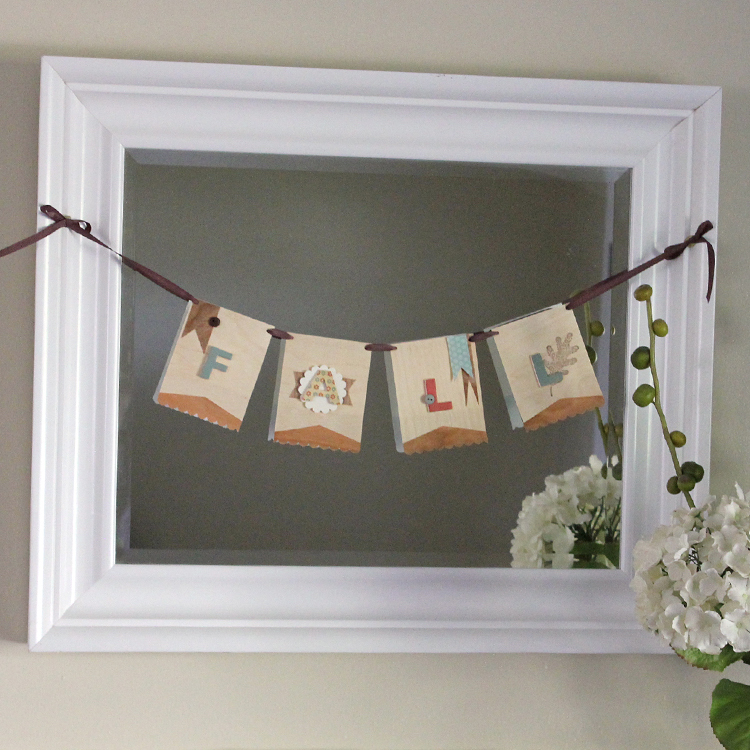 Festive Fall banner made from Real Birch and Cherry Wood papers. 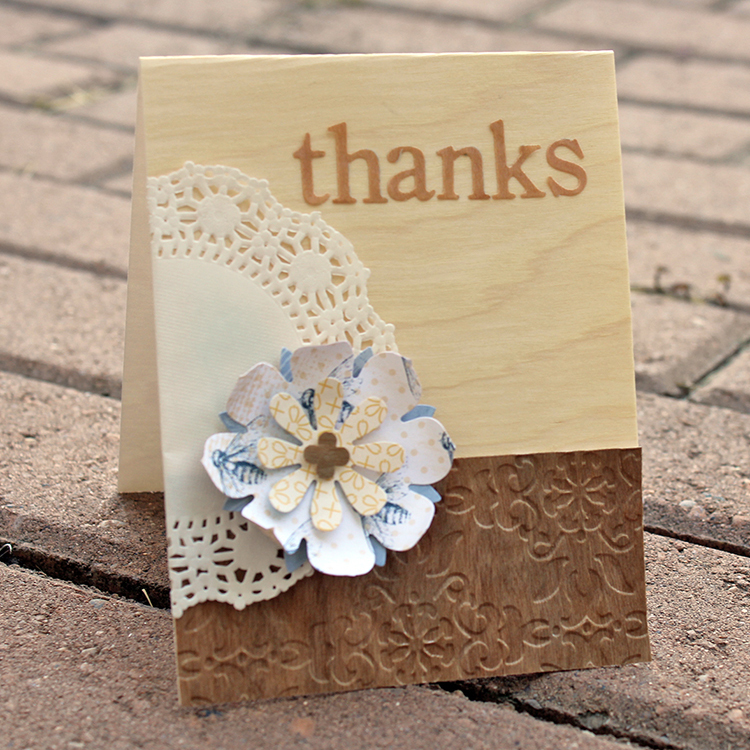 Thank you card made from Real Birch and Cherry Wood papers. 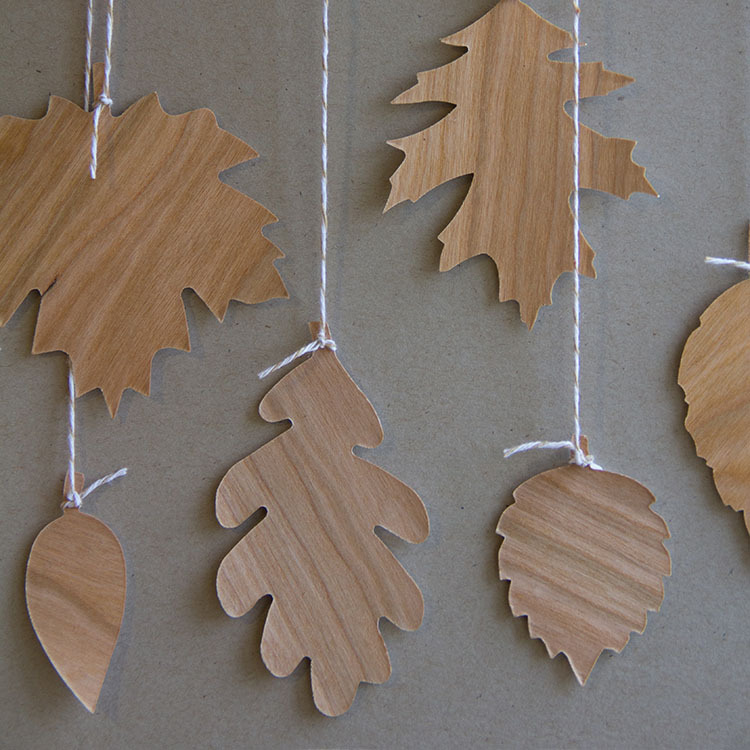 Hanging die cut leaves made from Real Cherry Wood paper. 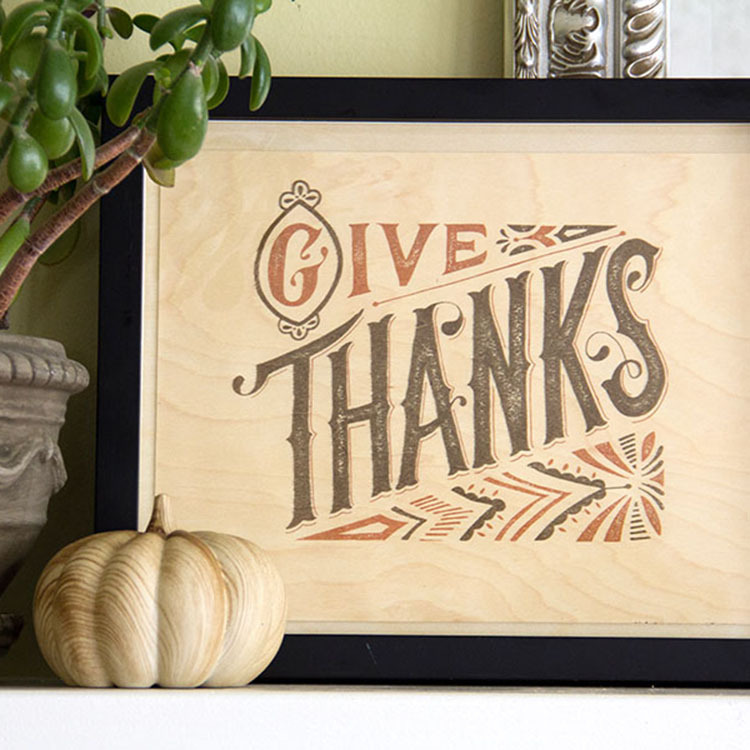 Give Thanks framed art printed on Real Birch Wood paper. 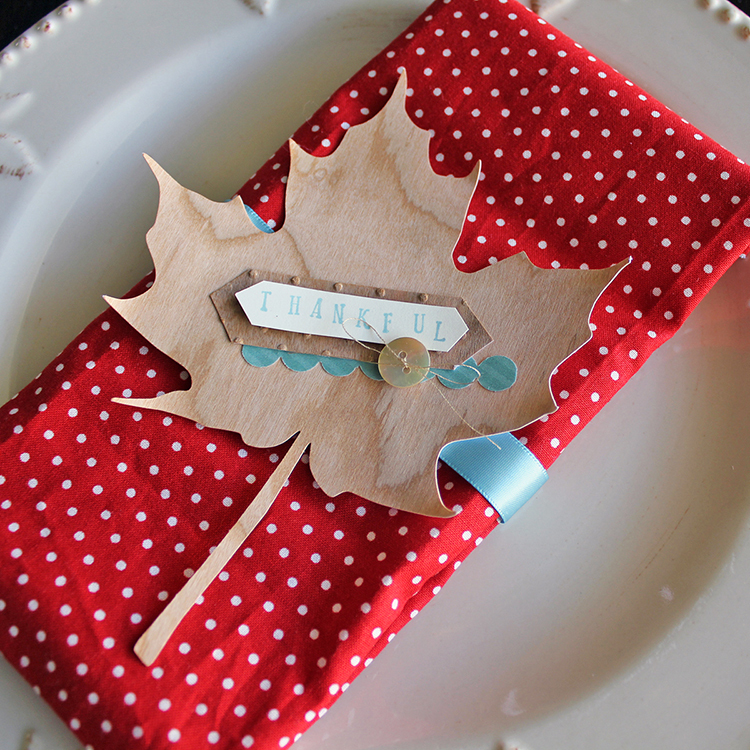 Table placemats made from Rustic Birch Real Wood paper. This entry was posted in Crafts & Kits, DIY Projects, Home Decor and tagged Banners, Birch Wood, Cherry wood, Fall art, Fall Decor, Feathers, Food boxes, Napkin rings, place settings, placemats, Rustic Birch, Thank You, Thankful, Thanks, Thanksgiving, wood tape.